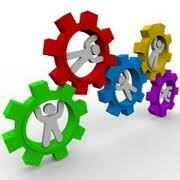 Establishing systems into your business is essential to ensure that the company will grow in a controlled manner. As the business owner or manager you need to establish a step by step process for every function for the daily business to function properly. Consider the fact that every successful business has developed standard systems that has enabled them to be successful! McDonalds is a good example! You can go into any McDonalds anyplace in the world and be assured that you will get your hamburger and fries the same exact way. You may or may not be wild about McDonalds but consistency is what has made them successful. Every person that joins the McDonald’s family goes through an extensive training program where they have the system hammered into their head. You will find the same scenario in all the companies that have become icons in their particular industry. The future is going to be challenging for all business owners. In order to compete and not only survive but to strive we need to take positive action steps to deal with the coming challenges. One of the challenges is going to be to provide outstanding service with less. You need to develop systems that enables you and your staff to be more efficient by using automation and the systems you develop. You need to take the time to analyze every process that is involved in your business. Do some brainstorming and use your creative thinking to establish systems to improve every individual task in your business. Create a system that you can write down and explain to somebody else to the point that a complete newbie can come into your work place and complete every task you give them. Analyze how many individual steps are necessary to provide the services that you offer. I always cringe when I hear somebody say “this is the way we have always done it.” We should always look for better and more efficient ways to do things! Take some time and read “The E-myth” by Michael Gerber; if you have not read the book you need to! Your success and survival in business may depend upon it. It is important that you are able to grasp the concept of doing more by doing less. Consider some of the challenges we are going to face in the future include higher taxes, more government regulations and more expensive resources. These are all going to increase overhead costs to business owners. A couple of approaches to these issues are outsourcing, using virtual contracting and utilizing technology. The technology that we have available is going to change the way we do business and enable you gain the success you want. The coming challenges are also going to provide unbelievable opportunities! Here is an interesting interview with Michael Gerber that explains the importance of good systems. Part 3 of the New Millionaire with Michael Gerber.